Cannabis was legalized recreationally across Canada in 2018, but many provinces don’t have access to the sheer range and variety that you can get in British Columbia. In fact, many dispensary companies originated right in Vancouver or the surrounding area – a whopping 40 percent of all Canadian cannabis is grown and sourced from BC. As the go-to choice for your premium dispensary recommendations, the team here at DispensaryGTA have been proud to watch history happen before our eyes. BC Residents Did it First! Even though cannabis wasn’t legalized federally until 17 October 2018, the recreational use of the plant was more commonplace and frequently tolerated even before the legal classification. Whenever the plant was officially legalized, many pioneers of the cannabis industry sprouted right in the homey province – and to no surprise. BC is home to an abundance of sunshine, water and hydroelectric power; not to mention their rolling hills and forests. Together, the conditions make BC absolutely ideal real estate for cultivating cannabis both indoors and outdoors. 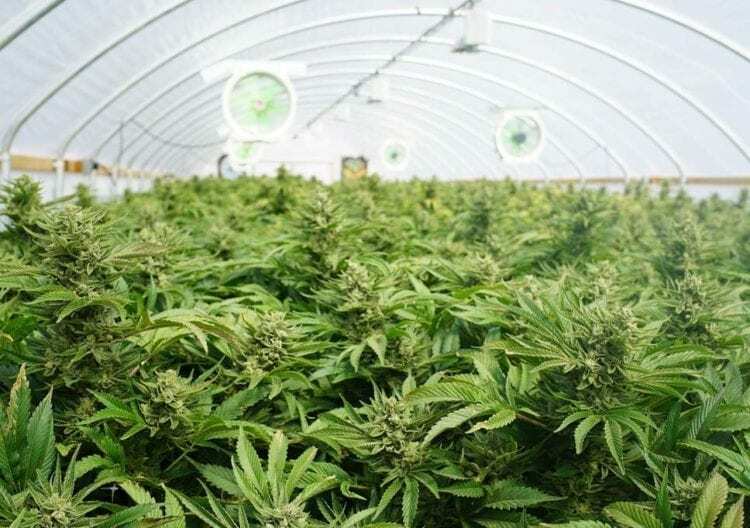 Today, cannabis is one of the most valuable cash crops in British Columbia, already worth an estimated annual sum of $6 billion dollars Canadian. A pioneering province, we can see that citizens of BC have always been a little lax on cannabis prohibition from a 2004 study conducted by the Simon Fraser University and University of Victoria. The study surveyed the residents of BC and found that at least 53 percent had tried cannabis at least once. And there’s more than just our history to be proud of. BC provides the source for the most mail-order dispensaries across the country because of the exquisite quality that comes from within our beloved province. To this day, mail-order is still the easiest and most efficient way to get cannabis, and all around the best way to obtain the utmost quality bud. Holding the flagship title as the cannabis capital of Canada, anyone that hails from British Columbia should be proud! The dispensaries throughout the streets of BC remind us just how far we’ve come. Now, we have a wide selection of dispensaries to choose from, even for mail-order weed in British Columbia. We can narrow down our pick based on what we truly want out of a reputable cannabis dispensary. From there, we cultivate the standards in our minds for what we expect when we go into a marijuana shop. It doesn’t have to be fancy – but we know what we want out of our bud, edibles, concentrates, and accessories. Especially for mail-order cannabis in British Columbia, we always anticipate the green to go above and beyond. Below is our list of the best mail-order cannabis dispensaries in British Columbia, recommended for their quality, range, affordability, or a combination of the three. We’ve done the legwork so you don’t have to, focusing on the top dispensaries in Canada to show you the incredible options at your disposal. Whether you’re looking for a sativa to buzz your brain with focus or an Indica to feel like a relaxed couch potato, the MOM (mail-order marijuana) dispensaries in BC have the strain for you – let’s dive in to find out which one! Recommended as our top dispensary across Canada, GreenSociety.ca provides well-cured, incredibly fresh bud that helps on the medical side as much as it does the enjoyment of using it recreationally. Their sizeable collection makes us keep coming back to GreenSociety.ca to find our next favourite strain. Not only do they provide premier cannabis of both sativa and Indica varieties, but they also have a diverse catalogue of other items that make them a hot spot for people wanting to try out something new. The reasonable prices that come with GreenSociety.ca is what helps push it to the top of our list, but there’s just a lot to love overall about this MOM dispensary. The exceptional quality isn’t held hostage to ridiculously high bud prices, instead being offered at an affordable rate people can actually manage. Their online presence imbues further confidence with an easy-to-use website, prompt and friendly customer service that answers questions professionally and quickly, and a style that makes them uniquely different. Read our full review here | Check out their website. The demand for CannaWholesalers.ca’s products exploded as the company expanded across a wide spectrum of land in a short amount of time. Providing one of the highest quality flowers on the market today, they now proudly have over 80 facilities in the British Columbia province. Their strains are consistently rotated without sacking any strains that might become a favourite for someone to come back to. Thanks to the variety and range for this cannabis company, you never have to worry about trying out a strain that you’ll never be able to find again. While we sometimes have trouble talking about anything but the bud, the quality packaging CannaWholesalers.ca provides is also worth noting – it’s hard to beat vacuum sealed products being delivered next-day. To top off the dispensary, the company guarantees that it will even match other competitors that are trying to undersell them. They’re firm believers in providing an affordable rate for bud to everyone, and that’s a mission they aim for every day! Use the coupon code “GTA5” for an additional 5% off this MOM dispensaries discounted pricing. With a goal to make medicinal cannabis in Canada available, easily accessible, and affordable to every Canadian of age, TheHighClub.ca is an online dispensary based in British Columbia. They proudly uphold what are considered some of the more rigorous standards in the industry to supply you with the quality bud that not only you’ve come to expect, but what they’ve come to demand as well. Their impressive standards ensure that the cannabis products sold in their online and physical dispensaries are not only tested to be recreational-grade, but also meet and exceed the stringent medicinal-grade standards Health Canada has in place. One other, brightest thing to love about TheHighClub.ca is that all their product is locally sourced in Canada. This makes it easier for the growers and products to meet standards, but sourcing locally puts further revenue back into Canada. Their impeccable customer service and range of options to reach them for questions goes virtually unmatched in the Canada cannabis industry right now – you can even give them a chat on Discord and they’ll get back to you in a timely, efficient manner. The quality cannabis and intense sealed packaging are no easy matters to cast aside, but the WeedSmart.ca dispensary also offers an excellent rewards program that got our attention. With one delightful rewards program, the dispensary incentivizes and values their loyal customers while also enticing new customers to jump on board. The program is easy enough to follow, too – spend money on flower, earn points! Your accumulated points can eventually earn you special offers, in-store credit, and much more. For those who enjoy buying in bulk quantities, Get Kush provides substantial discounts for the more cannabis you buy at one time. Buying 4 ounces at a time can save you 35 percent off the retail price, which essentially knocks the price of an entire ounce and then some right off the total. 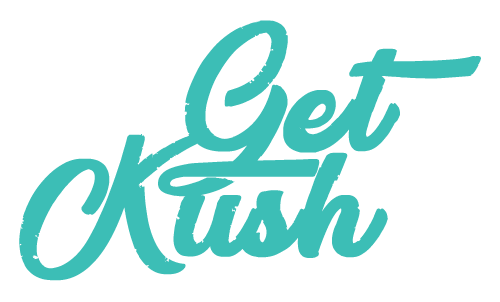 If you score an order over $149, you also get free shipping with Get Kush, although other dispensaries that don’t specialize in bulk quantities generally offer a free shipping option with a lower minimum amount. Most impressively, though? If you spend over $300, they give you a FREE HALF OUNCE! So, if you spend over $300, you’ll get 14 additional grams completely for free – definitely an incentive we don’t hate. To ensure maximum freshness, Get Kush product arrives in pill-like containers that are vacuum sealed. Use the coupon code “GTA5” for 5% off this MOM dispensary. Which mail-order cannabis dispensary is your go-to for quality bud? We hope this was an insightful bite of knowledge for the cannabis history British Columbia has seen, not to mention why this province has top-quality dispensaries with the best mail-order cannabis in the nation. Originating in Vancouver or the surrounding areas, the pioneers of Canada’s cannabis industry have turned BC as we know it into the capital of cannabis in Canada. British Columbians everywhere should feel proud as we continue marking history. As the choice website for quality dispensary recommendations, DispensaryGTA continues to be on the lookout for the latest dispensary news, changes, and valuable info to make sure you always have a fantastic dispensary experience in Canada. We aim to be the best, which is why we only look at the best – and our recommendations will continue to prove this.